A central German city set on the river Main famous for its apple wine, Frankfurt is a city of great diversity. We deliver some of the best team building events just for you; in one of the best cities in Europe – Frankfurt. Explore it’s reconstructed old town or take a guided tour of its museums and attractions. 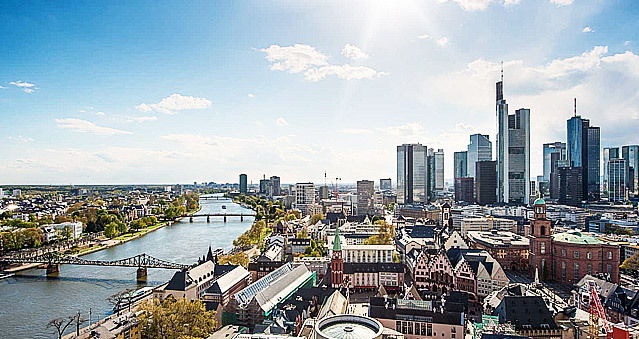 Frankfurt is the perfect back drop for a variety of different events including Corporate Away Days, Team Building Events, Development Days and Parties. We provide a free venue finding service and work with some of the best local venues, so you can rest assured that we will find you the perfect location for your event. Our top venue picks include Sofitel Frankfurt Opera and Intercontinental Frankfurt. Both of these venues offer excellent event spaces and facilities. Whether you are looking for your next Frankfurt event to be fun, or you require serious management outcomes from your team, we will ensure that your objectives are met.